According to Mark Feinsand, the Yankees are adding Carlos Beltran to their front office as a special assistant to GM Brian Cashman. The team has not yet announced the hire. There’s no reason to doubt Feinsand’s reporting, but, if you do, Joel Sherman confirmed it as well. It’s happening. 6. Speaking of the front office, I think the odds are pretty darn good the Yankees will hire Beltran as a special advisor to Brian Cashman, similar to Hideki Matsui. I think that’s why they brought him in for the managerial interview. To show him respect and to show him he’s wanted. Matsui has been a special advisor to Cashman for three years now and his duties include, among other things, going around and working with prospects in the minors. I know Beltran said he wants to manage, but going from player one year to manager the next is a huge jump, and was probably never all that realistic. A special advisor role is much less demanding. There’s less travel and more time at home with the family, which a recently retired player figures to appreciate. But he also gets to stay in baseball and begin the second phase of his career. Matsui and Beltran are very similar. They are dignified and very highly respected, and have a lot of baseball knowledge to offer. The Yankees could bring Beltran aboard as a special advisor with the promise that if a coaching or managerial job opens somewhere around the league, he’s free to leave. He can work with players up and down the organization, particularly Latin American players, in the meantime. Beltran is someone worth having in the organization and I think the Yankees let him know they want him during their interview, even if they didn’t name him their manager. Beltran’s responsibilities as a special assistant are unknown but I’m certain the Yankees will put him to good use and he’ll be asset. As far as I’m concerned, people as knowledgeable and respected as Beltran are always welcome in the front office. He’ll have a big impact on players throughout the organization, especially Latin American players. I don’t even need to know what Beltran will be doing to declare this a great hire. Like pretty much every other team, the Yankees have many ex-players serving as special assistants, though their ex-players are more well-know than everyone else’s. Beltran joins Reggie Jackson, Alex Rodriguez, Hideki Matsui, and Nick Swisher as a special assistants/special advisor, among others. In case you missed it yesterday, I posted my annual Top 30 Prospects list. Over 10,000 words of prospect goodness. Don’t miss it. Here are some other links to check out on the penultimate Saturday without baseball until November. Anyway, those grades are on the 20-80 scouting scale, so 50 is average and 80 is top of the line. Judge is a star. We didn’t need a 20-80 grade to know that. Cody Bellinger is the only other player on the list with even a 70 FV. The 80 FV essentially means McDaniel and Longenhagen project Judge to continue being this damn good going forward. Sign me the hell up. 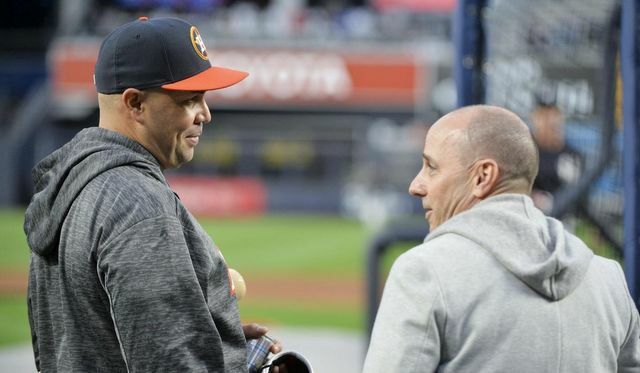 In a recent episode of the R2C2 podcast, Carlos Beltran confirmed the Yankees offered him a position in the organization after naming Aaron Boone their new manager. Pete Caldera says it was a special assistant/special advisor role. Beltran declined because he wants to take a year off and spend time with his family. He’s been playing professional baseball since 1995. Can’t say I blame him for wanting to take a break. The Yankees hired Hideki Matsui as a special advisor shortly after he retired — his official title is special advisor to the general manager — and his duties include working his prospects, among other things. Matsui and Beltran are similar. They’re both very well respected, they went out of their way to work with young players during their playing careers, and they have a lot of knowledge to share. Latin American players look up to Beltran. He has a lot to offer an organization. I imagine the Yankees will welcome him with open arms whenever he wants to get back into baseball. According to Brendan Kuty, Hal Steinbrenner has spoken to Alex Rodriguez about his role with the Yankees going forward. Hal said the talks have been “very positive,” but he wants to keep them “private” for now. After being released in August 2016, A-Rod worked for the Yankees as a special advisor through the end of his player contract this season. He worked with their young players and things like that. Alex has an awful lot going on right now between his new ESPN Sunday Night Baseball gig and postseason coverage with FOX, plus all the jet-setting with Jennifer Lopez. 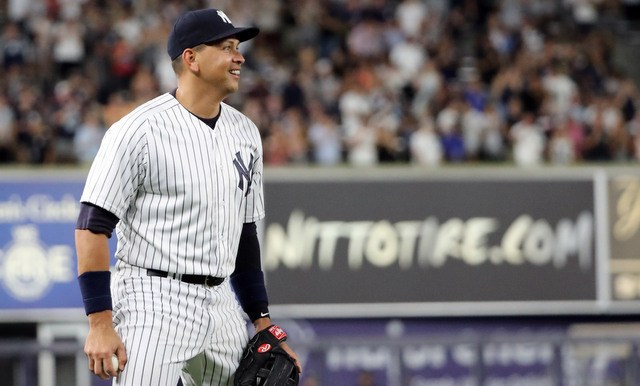 It may seem A-Rod won’t have enough time for the Yankees, but man, he loves baseball, and I think he wants to remain in the game in some capacity, beyond broadcasting. Another special advisor role to work with prospects in Tampa a few times a year makes too much sense not to happen. The much anticipated 2018 Yankees Spring Training just got a little bit better. Steinbrenner Field will officially be opening 3 hours before game time (e.g. 1:05 p.m. game time, gates open at 10:05 a.m. to the public) so fans can experience the Yankees batting-practice action. Fans, be prepared to see your favorite players like Aaron Judge and Giancarlo Stanton taking BP and remember to bring your glove in case you get lucky! As someone who’s seen Judge and Stanton take batting practice a bunch of times, I assure you it is worth the price of admission. Effortless power. Both of them. They put on a show. Anyway, it’s unclear whether the Yankees will open the gates an hour earlier during he regular season as well. For now it is Spring Training only. I imagine there are some logistical issues to work out for the regular season (the ballpark has to be staffed, etc. ), though maybe once or twice a homestand? That’d be cool. This morning Brian Cashman took a practice run rappelling down the Landmark Building in Stamford as part of the annual Heights & Lights Festival. He also spoke to reporters and passed along two important pieces of information, one surprising and one not so surprising. Here’s the latest, via all the wonderful reporters in attendance. First the surprising news: Cashman said the Yankees will not interview any more managerial candidates. The job will go to one of the six men they’ve interviewed: Carlos Beltran, Aaron Boone, Hensley Meulens, Rob Thomson, Eric Wedge, and Chris Woodward. 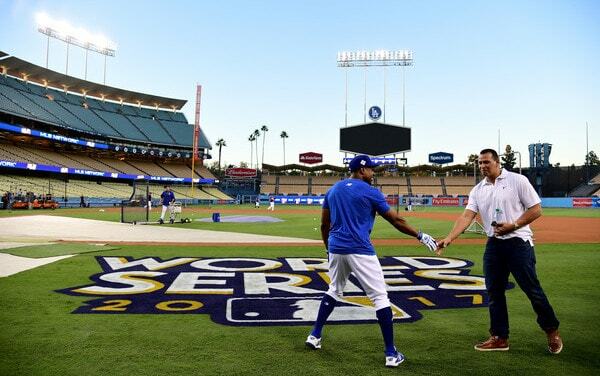 (Mark Feinsand says a clear frontrunner emerged during the interview process.) Furthermore, Cashman said there will not be a second round of interviews in Tampa. The next step is making a final recommendation to Hal Steinbrenner and that’ll be that. 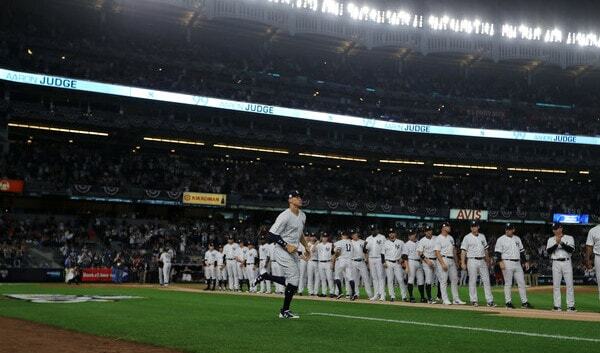 Who should be the next Yankees manager? Ohtani was officially posted earlier today, and already there are some wild rumors floating around. He’s narrowed his list down to three teams! He doesn’t want to play with another Japanese star! I get the sense we’re going to hear lots more stuff like that over the next three weeks. For now, all we know for certain is that Ohtani has been posted, and Cashman said the Yankees will pursue him. One last quick note: the Yankees tendered all their eligible players contracts prior to today’s deadline, the team announced. Can’t say I’m surprised. Austin Romine was the only real non-tender candidate and I never thought the Yankees would actually non-tender him, and they didn’t, so there you go. It has now been four weeks and six days since the Yankees parted ways with Joe Girardi, and prior to today they’d conducted only five managerial interviews. The GM Meetings and Thanksgiving slowed things down a bit, but this has certainly been a slow-moving process. Here’s the latest managerial search and coaching staff news. As expected, the Yankees did indeed interview Carlos Beltran for their managerial opening today, the team announced. Beltran retired as a player earlier this month and said he wants to stay in baseball and hopefully manage one day. Not counting player-managers, he would be only the fourth person to go from playing one year to managing the next if he were to get the job, joining Yogi Berra, Joe Adcock, and Gil Hodges. Beltran has long been considered a future manager because he’s a top notch clubhouse dude with a long history of taking young players under his wing. (He mentored Aaron Judge in Spring Training 2016.) It doesn’t seem communication would be an issue with Beltran at all. Is he familiar with analytics? That’s a big question. I don’t love the idea of hiring someone with zero coaching or managerial experience. If the Yankees do name Beltran their manager, I hope they’d bring in an experienced bench coach (and coaching staff in general) to help him out. According to Mike Mazzeo, the Yankees will interview at least one more managerial candidate after Beltran. It’s possible they will interview several more candidates, in fact. Earlier this month both Brian Cashman and Hal Steinbrenner indicated the Yankees would interview fewer than ten candidates total. Beltran is the sixth, and the next interview would be the seventh. Can’t imagine there will be many more after that. Most of the managerial candidates the Yankees have interviewed have come out of left field — Rob Thomson was no surprise, and Hensley Meulens getting an interview wasn’t that unexpected, but everyone else? not many saw them coming — so your guess is as good as mine as to who the Yankees will interview next. Maybe Triple-A Scranton manager Al Pedrique? Matt Kardos says Pedrique hasn’t been contacted about an interview yet. Maybe Cashman’s longtime pal Trey Hillman, assuming Hillman has an out in his contract with the SK Wyverns in Korea? At some point this week Thomson will interview with the Phillies for their bench coach vacancy, reports Sweeny Murti. Thomson was the first managerial candidate the Yankees interviewed, and he said he wants to stay with the team even if he doesn’t get the job, but he’s going to cover his bases and interview elsewhere in case things with the Yankees fall through. If nothing else, interviewing with the Phillies might give Thomson some leverage to use against the Yankees when it comes time to talk contract, for whatever role. Thomson has been with the Yankees since the early 1990s and he’s held a variety of coaching and front office roles. He knows the organization inside and out. And, as Joel Sherman recently noted, Thomson has run Spring Training for the Yankees for a while now, and their camp is arguably the most organized and well run in baseball year in and year out. 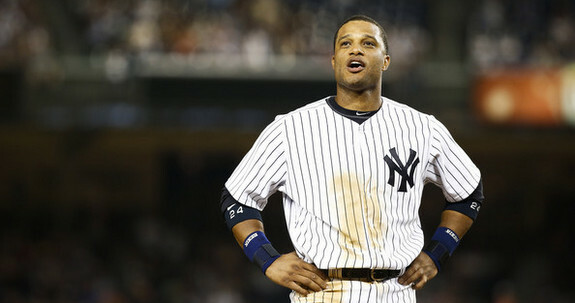 Thomson has obvious and considerable value to the Yankees, in my opinion. Even if the Yankees don’t name him manager, keeping him in a no-brainer, especially if they hire a rookie skipper. Minor league catching coordinator Josh Paul has left the Yankees to join the Angels as Mike Scioscia’s bench coach, the club announced. Paul played for the Halos from 2004-05, and I’m sure he and GM Billy Eppler have a relationship dating back to their time with the Yankees. Scioscia’s contract is up after 2018. Maybe Eppler is grooming Paul to take over? Catching coordinator to bench coach is a big jump. Paul, who had been with the Yankees since his playing career ended in 2008, was speculated as a potential managerial candidate soon after Girardi was let go. He never did get an interview though, and I’m sure that contributed to his decision to join the Angels. That and the fact he got promoted to bench coach. Hard to turn that down after years of coaching and instructing in the minors. Paul worked with all catchers in the minors and was highly regarded, which is why he was considered a potential managerial candidate and another team named him bench coach.